Objectiver : The power tool to engineer your technical and business requirements ! Are you experiencing delays and cost overruns on your projects because of poor requirements ? Are you having difficulties to see the whole picture while browsing through your requirements ? The method proceeds by discovering the stakeholders goals and by using these goals to unveil and motivate system requirements. 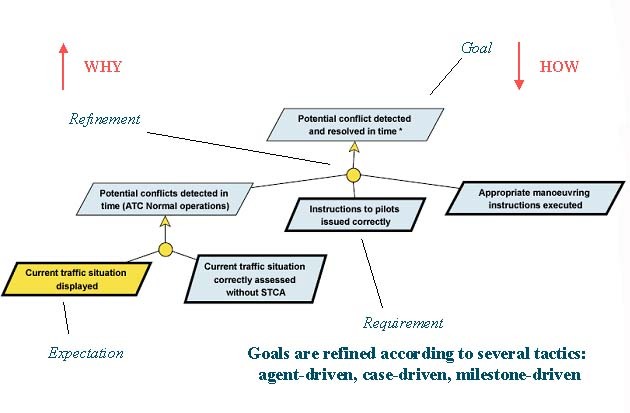 Both bottom-up and top-down approaches are typically used to identify the stakeholders goals. Goals are hence refined from more general strategic goals to lower-level operational goals. 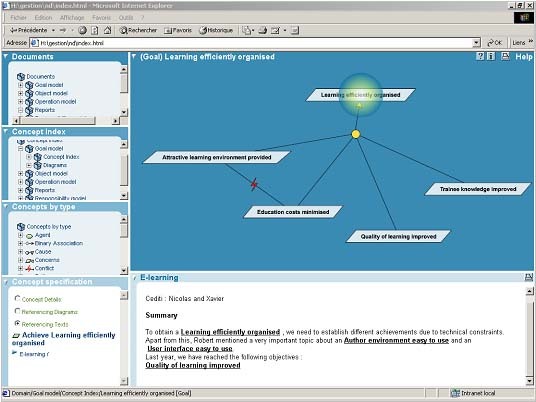 All system requirements are identified and introduced in the model in order to meet some operational goal. The Objectiver approach facilitates communication on requirements, internally among the teams in your company, but also externally with your partners. Requirements are now readily understood by all stakeholders. Business analysts can talk to IT designers and software developers with less difficulty. This goal-driven approach also permits to address functional as well as non-functional requirements. The method ensures that the specifications detail not only product features but also address performance, reliability, security, maintainability and other critical issues. How does strategic goals impact current business operations ? 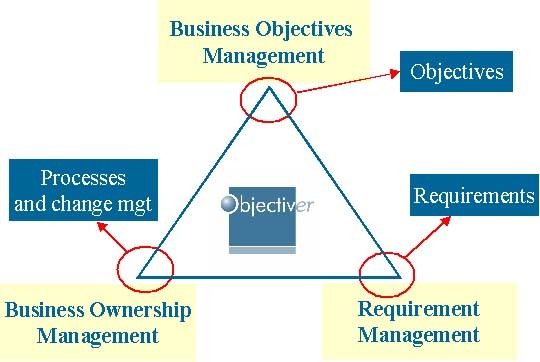 The Objectiver approach can be used to model changes to the way your business is currently run. The method supports extensive modeling of your domain, defines stakeholders's roles and responsibilities, business processes and operations. 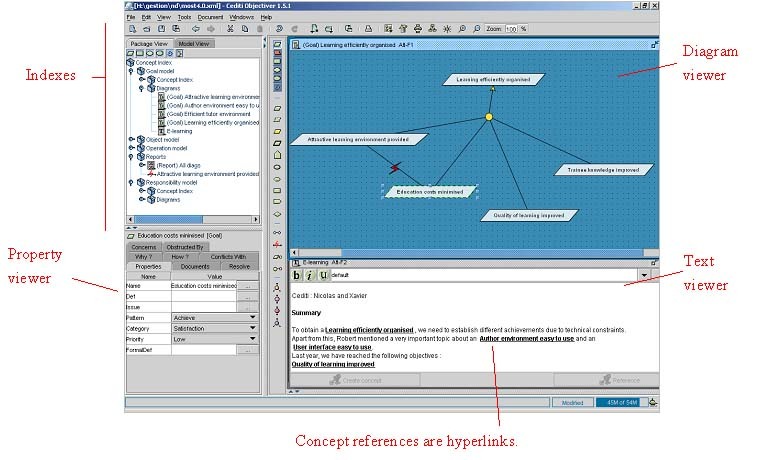 Requirements elicitation with Objectiver will definitely help put your projects on track before getting into a more detailed UML design analysis of your system. To continue your visit, please check out our Documentation section for detailed information about the methodology, the tool that supports it.